Our communication skills training programs include media training, advanced media training, crisis media training and presentation skills training with speech dynamics. Our media training and crisis communications programs are based on three decades of experience working on both sides of the camera and microphone – as the reporter asking the tough questions, and as the media spokesperson developing the communications agenda, crafting the memorable quotes and soundbites, and then delivering those key messages before the reporters and cameras, even in crisis situations. In our media training and crisis communications training programs you will learn how to prepare for the media interview: what you need to do before the reporters arrive, how the media works, how to think like a reporter and anticipate the questions, how to “plant” the questions you want to answer, how to craft memorable soundbites and and precise quotes that cannot be taken out of context, and how to avoid opening other “trap doors.” You will be able to deliver YOUR media message with confidence, clarity and credibility. Our Presentation Skills and Speech Dynamics training is based on many years of formal training in voice and speech, work as a television and radio broadcaster as well as a professional narrator and voice artist, and scores of public speaking appearances before groups ranging from 20 to more than 2,500. You will learn how to employ greater speech dynamics to make your presentation more interesting, how to capture and hold an audience, how to structure the perfect presentation from introduction to conclusion, and how to handle the Q&A and reinforce your message. We also show you how to design and employ an effective PowerPoint and use it as a message reinforcement and not a backward-facing Teleprompter. We also teach you what to do when Murphy’s Law strikes. And to help you overcome the greatest stumbling block to your success, we teach you techniques to overcome stage fright and any fear of public speaking, and how to effectively channel that fear and other nervous habits into positive energy to increase your confidence levels and win over your audience. It’s not just media skills; it’s how to become an effective, dynamic and confident presenter before the cameras or in front of a live audience. 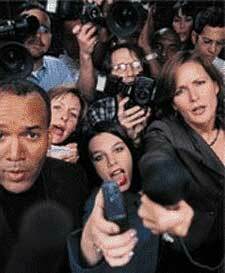 Other media and presentation skills training programs are customized to your specific needs. For group training we prefer 6 – 10 participants. This limited number facilitates dynamic interaction and allows for multiple on-camera presentations, thus ensuring that each participant receives the full benefits of the training experience. Rather than inflate the price of a workshop to accommodate larger numbers (and diminishing the effectiveness of the training) we are happy to conduct additional workshops at reduced rates to maintain class size integrity. Consultation via phone, video link up, or email for one year following the workshop is included at no additional charge. Additional expenses such as travel, hotel, off-site conference center (if required), etc., may apply but are billed at pass-through rates. Discounts also apply for multiple sessions (three or more), long-term contracts and non-profit organizations. All exercises and materials including The Media Skills Workbook and a DVD of participants’ interviews and speaking presentations are included in the program fees. A 50 percent deposit is requested to reserve a communication skills workshop date with the balance due on the day of the training. Deposits are nonrefundable, however we understand conflicts do arise and will be happy to reschedule with proper notice. Program changes with less than 14 days notice may incur additional expense (travel, other reservations, etc.). Substitution of participants is acceptable at any time prior to the workshop; just let us know who will be coming. We accept corporate checks, VISA, Master Card, and even cash. We provide all production equipment to include professional-quality video camera, wireless and hand-held microphones and lighting. 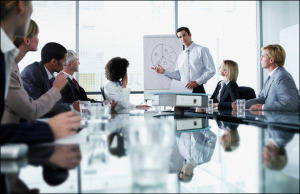 We request a conference room or other training center equipped with a large flat screen television and whiteboard, devoid of distraction, and of sufficient space to conduct mock interviews or deliver presentations. If you prefer to conduct training off-site, another conference / meeting center can be arranged and billed at pass through rate. You may register by phone (888-656-1984) or use the website contact form. Please include names of participants, some information about your organization (products or services) and type of training requested. Upon confirmation we will forward preliminary questionnaires to be completed by each participant that will enable us to assess each person’s strengths and weaknesses, experience in dealing with the media or speaking presentations, and individual goals to better custom design your workshop. Most educational expenses and endeavors to improve professional skills are tax deductible to include course fees, travel, accommodations, meals, etc. Please check with your accounting department or tax adviser for specific information and guidelines. Over the years we have worked with more than 4,000 individuals to improve their communication skills, whether for media interviews or presentations. Many of our clients have appeared on various network news programs, as guests on nationally syndicated talk shows, and local media. Some have even appeared on the covers of national magazines with an accompanying feature article. Our client list represents a cross section of Fortune 500 companies, state and federal government agencies, elected officials and celebrities. A few corporate and organizational names you may recognize include Verizon – AT&T – Pacific and Pacific Northwest Bell – Southern California Edison – Cortex Pharmaceuticals – The Orange County Fair – California National Guard (Command Staff) – U.S. Army DSCPER – The California Senate, County of San Diego, and Santa Clara County, et al. As our communication skills training workshops are custom tailored to our clients’ needs and specific issues, we have often dealt with sensitive, proprietary, and even classified information. (Two of our key trainers have held high-level government security clearances.) 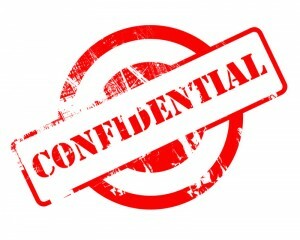 As such we adhere to the strictest policy of client confidentiality and do not discuss client issues or other proprietary information under any circumstances – ever. Contact us today to become a more effective and confident communicator – in media interviews and in public speaking events. We have presented our media training and presentation skills training to more than 4,000 individuals from a cross section of business and government spanning well over two decades. Check us out on Google+ on Facebook and Twitter.